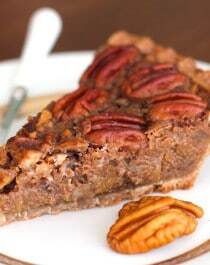 That (totally awesome) Maple Pecan Pie was loved by all… except for my vegan friends. I’m sure they would have loved it if they had tasted it, but for them, eggs are a no-no. To make sure my vegans still loved me, I made them a pie they could eat. That’s right. 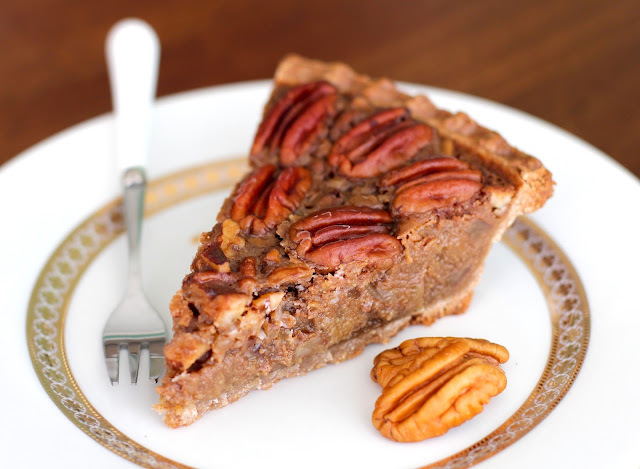 I made a (seriously, totally awesome) Maple Pecan Pie… vegan! Oh yes. That popular dessert that usually contains a ton of butter and eggs is veganized! So not only is this pie vegan, but it’s 100% natural and actually good for you. Yup, no butter, no eggs, no corn syrup, no processed white sugar. And it tastes great. 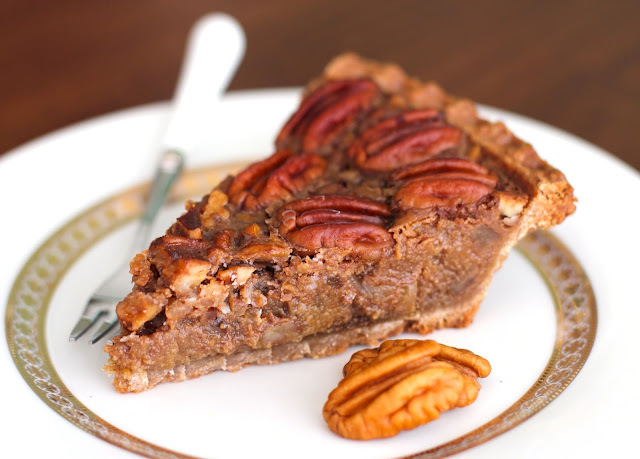 Does this Healthy Vegan Pecan Pie belong on your holiday spread? YES. Duh. What a delicious idea! Do you have a substitute for the vanilla paste such as an equal amount of pure vanilla extract, I can try with this pie? 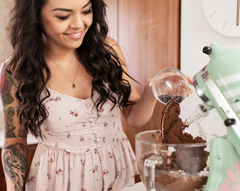 Yup, you can definitely use vanilla extract! Seriously looks amazing!!! Have to give it a try!!! Can’t wait to try this!! 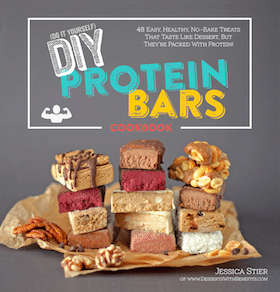 Love your recipes and your energy! This pie is definitely not 100% authentic. It has a slight maple flavor and isn’t eggy (due to maple syrup rather than corn syrup and lack of eggs). 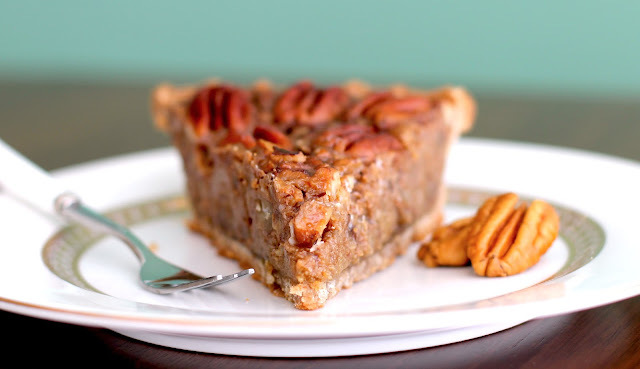 The filling IS however, soft and slightly gooey like regular pecan pie, and the pecan flavor is definitely there. Ill have to try it! THANK YOU THANK YOU THANK YOU FOR A VEGAN RECIPE OF YOUR PERFECT (literally, PERFECT) CREATIONS! This is in my oven right now! 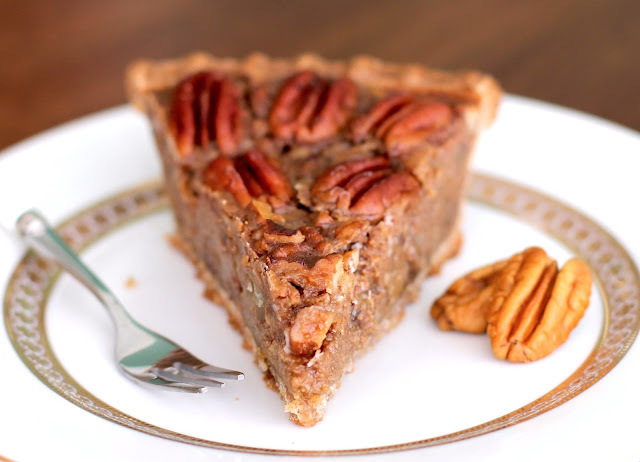 I made a gluten-free pecan crust to put it in, I CANNOT WAIT to try it Christmas day! I don’t do ‘sweeteners’. Can I use granulated or brown sugar with the same result? Hello! Looks Amaaaazing! I think I’m missing a step or misreading something…. I know we put the coconut oil in a small bowl (by itself?) and let it sit. Then what? I didn’t read about it being added to anything. I just made a trial run of this pie before next week’s Thanksgiving meal, taste is amazing and so is the texture! Very much like traditional pecan pie. My only question is, it seems a little watery, is this normal? I assume it will set a little bit once I let it cool all the way. I also did use silken tofu instead of firm because I already had it on hand – could this be the case? Next week I planned on using the extra firm for the real deal. Though, my pecan pie wasn’t watery at all. I would recommend letting the pie cool completely before slicing. It could also be the silken tofu… firm tofu doesn’t hold nearly as much water as silken. If you’re worried about the wateriness, try pressing the tofu between towels before blending it. This pie is so amazing!!! I got scared away from the prices of sugarless sweeteners, so was bad and made this pie using white sugar. Not sure if it was the white sugar, but the pie was super duper sweet…which made some vegan ice cream the perfect accompaniment. 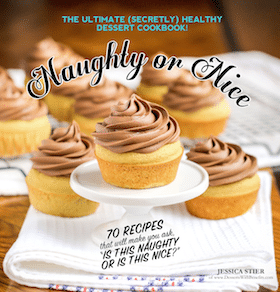 Will try next time with stevia or some sweetener. Erythritol isn’t as sweet as sugar so if you use white sugar you’ll need less, probably 2/3 cup instead of 1 cup?